In a wake of Coinbase’s new cross-border service using XRP, Switzerland’s SIX Stock exchange announced of adding XRP based Exchange-traded product (ETP). 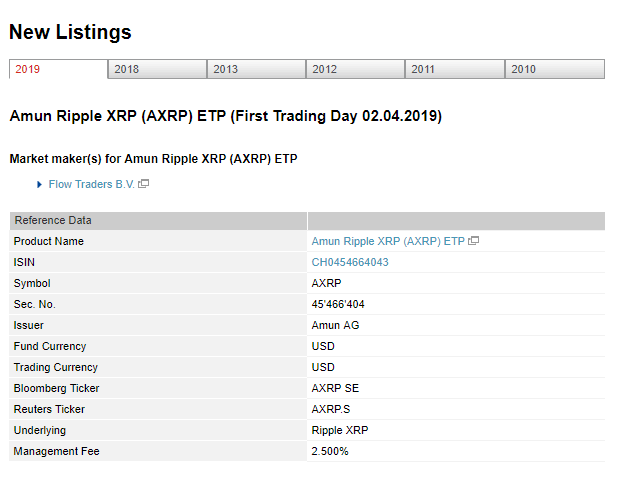 Such ETP is called as Amun Ripple XRP [AXRP] and has launched on April 02, 2019. AXRP is a product of Amun AG which has confirmed the news of XRP ETP. However, the product was first announced in last month and consequently, the price of XRP would be tracked on SIX exchange using ETP. With AXRP, Amun AG now has four cryptocurrency ETP products on SIX stock exchange – ETH based ETP (AETH), BTC- based ETP (ABTC), Couple of other crypto product based ETP (HODL5). As more positive XRP news flourishing the market, many speculate that it influenced today’s XRP value. At the moment, XRP is up with 7.75 % over the past 24 hours and is trading at the value $0.33 against US Dollar. 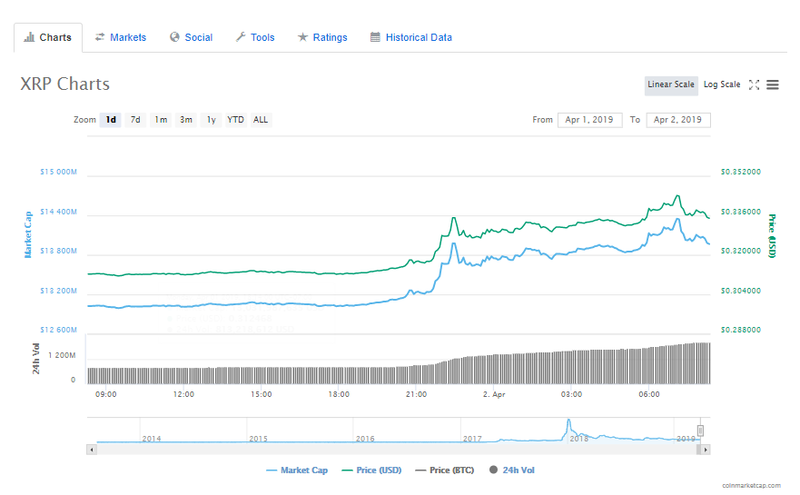 Moreover, its average trading volume has grown to $14,036,349,623. What do you think about XRP-backed ETP (AXRP) launched on SIX stock exchange? share your thoughts with us.